After more than three years of development, blockchain-powered tokenized security exchange tZERO appears to be on the verge of a full public debut. The Overstock.com-backed project released series of videos yesterday, demonstrating how tokenized versions of stocks and other securities can be bought, sold, and traded on the platform. While some cryptocurrency exchanges currently allow the sale and trading of tokenized securities, tZERO would be the first dedicated platform for the offerings to seek the approval of the U.S. Securities and Exchange Commission (SEC) and other regulatory agencies. The platform will need regulatory approval before any live trading can occur, which could be problematic given that tZERO is the first system of its kind. The SEC and other financial authorities have demonstrated mixed feelings about digital securities, even declining to approve non-blockchain backed offerings such as exchange-traded funds (ETFs) that track cryptocurrency prices. It’s also not clear what kinds of tokens will be welcome on the platform. The recent boom in initial coin offerings (ICOs) has created a range of tokens that could almost certainly be traded on the exchange, but tZERO’s approval criteria are currently a mystery. 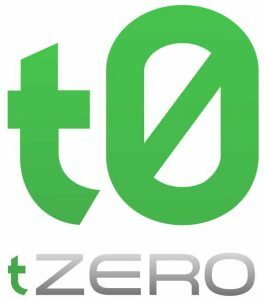 At least two tokens will likely be available through tZERO upon launch: Overstock’s own digital security, OSTKP, and the tZERO token, which is currently raising funds via ICO. Originally proposed in late 2014 by Overstock.com CEO Patrick Byrne, tZERO seeks to bring “greater efficiency and transparency to capital markets through the integration of blockchain technology.” Byrne is a noted critic of the Wall Street status quo, even going so far as to launch a high-profile campaign against the once-common practice of “naked short selling.” Unlike a typical short sale, where the trader “borrows” an asset in the hopes that the value will fall (keeping the price difference for themselves), naked shorting involves selling an asset that the trader doesn’t own and hasn’t borrowed, often with the goal of manipulating the price. This practice is illegal, but it can be difficult to prove, and abusers are rarely prosecuted. Byrne has claimed that naked shorting was used by competitors to drive down Overstock.com’s price in the early 2000s, leading to a series of lawsuits that ultimately resulted in multi-million dollar settlements from high-profile brokerages such as Bank of New York, Citigroup, and Deutsche Bank. By creating a new platform where asset ownership is instantly verified by blockchain technology, Byrne and his team hope to put an end to a wide range of illegal and ethically questionable stock trading practices. The tZERO platform could dramatically reduce settlement times and costs, all while creating a more transparent and efficient system that could be quickly and easily audited. Should the tZERO platform prove viable and satisfy regulator concerns, it’s likely that it will become the model for similar digital asset exchanges.